Summer is full of fun, but also full of downtime. 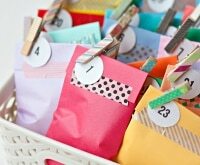 Instead of wasting it away, fill dull moments with clever but easy crafting endeavors. These projects require few materials, many of which you may already have on hand. 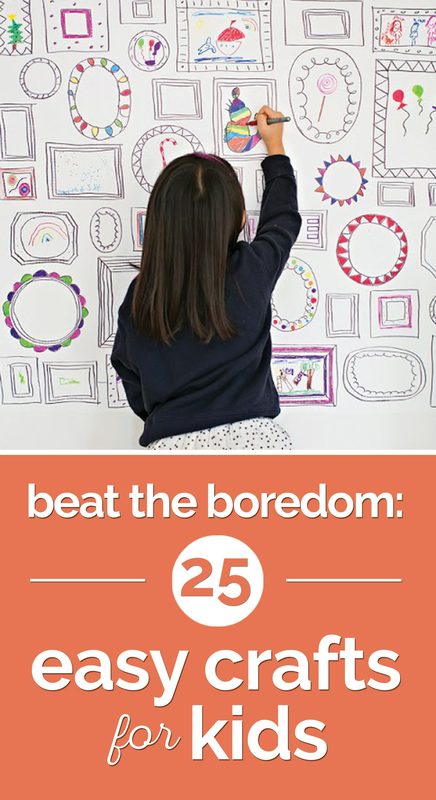 With minimal time commitment you’ll achieve awesome outcomes, turning boredom into fun and productive family time. 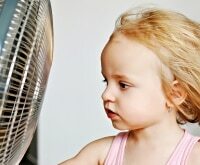 If you need even more ideas for how to pass summer days with little ones, check out these suggestions. 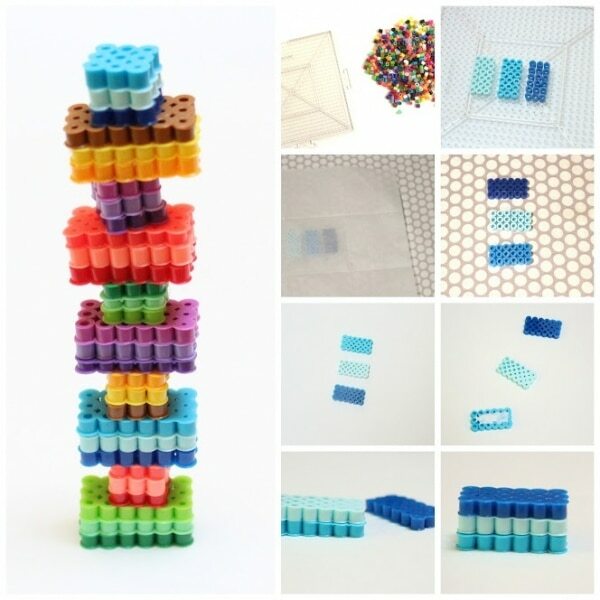 Instead of buying building blocks, make your own in colors and sizes of your choosing. Working with hama beads is best for kids (and adults) with fine motor skills, but the resulting blocks are fun for all. 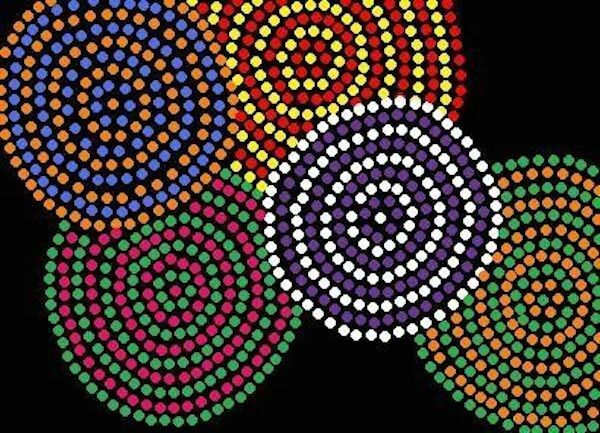 Use more beads to make bigger blocks if you like — you could also try out different shapes. Lay out the beads for one block on the pegboard. The rectangles shown are 3 beads by 6 beads, and the squares are 3 beads by 3 beads. Make three rectangles (or squares) in shades of the same color. Place the ironing paper over the three rectangles, and iron to set the hama beads. Use a medium setting and gentle circular motion when ironing. Remove the bead rectangles from the pegboard, flip them over, place the ironing sheet over them, and iron the other side. Glue the three layers together, applying a generous bit of glue in between each layer. Repeat the above steps to make as many blocks as you like. This is a perfect activity for summer days. Fill an ice cube tray with baking soda, cornstarch, watercolor paint, and water. Mix, freeze, and take them outside. 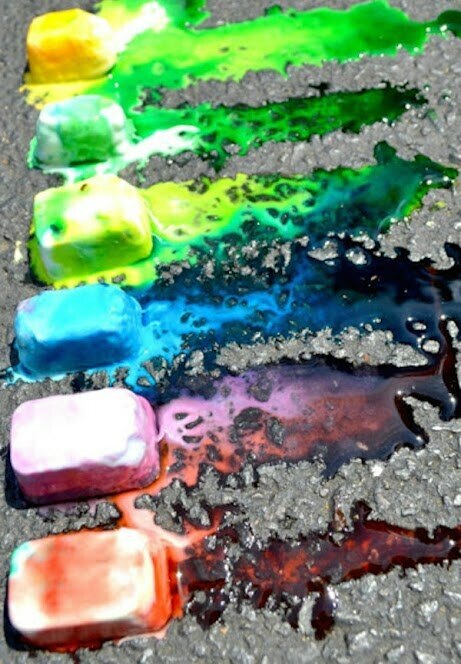 If you spray these chalk cubes with vinegar, they’ll erupt with color. 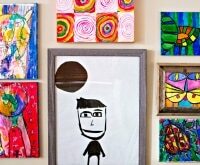 Kids will have a blast unleashing their inner artist with this unique medium. 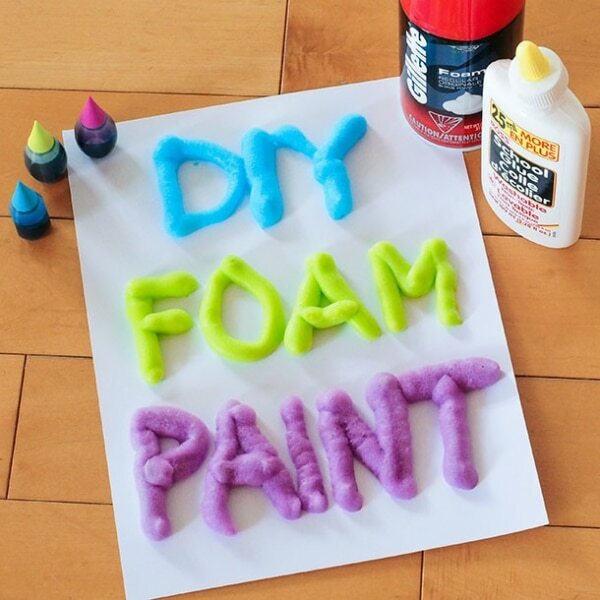 Make your own three-dimensional paint with just three materials — glue, shaving cream, and food coloring. 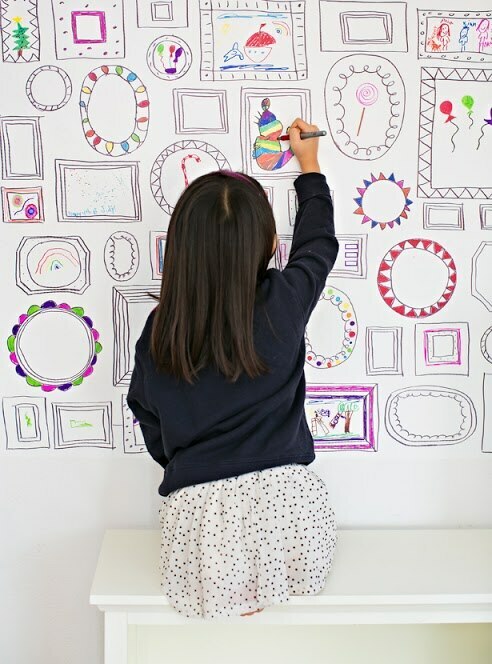 Cover a wall with white contact paper and let your kids color away. The fun of drawing on walls will keep them (and possibly you, as well) busy for hours. You can use a Sharpie to draw frames for them to work within, or just let them doodle away. 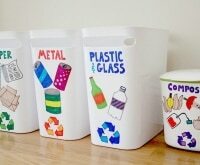 This is a great project for those who love to doodle. 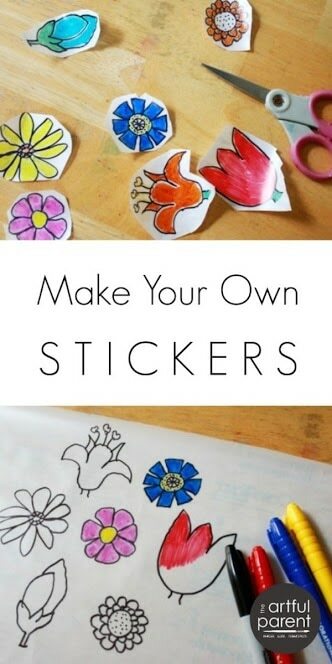 Turn those drawings into stickers using contact paper, and use them to decorate notebooks, walls, or whatever you’d like. Got five minutes to spare? 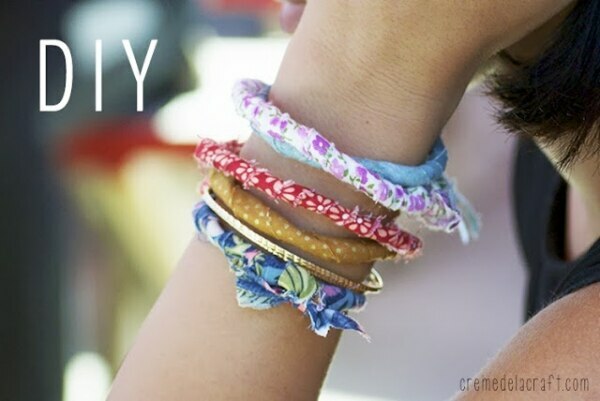 Spruce up your summer wardrobe by making a bracelet using a wire hanger as the base. Simply wrap it in a strip of fabric and finish it off with a knot. This weird and wonderful goop is a cinch to make on your own. 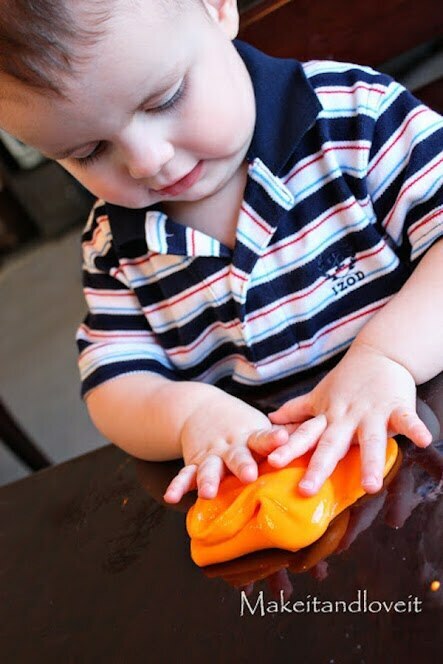 Just combine food coloring, glue, and liquid starch, then let little hands have at it! Keep kids busy in the backyard with tin can stilts. 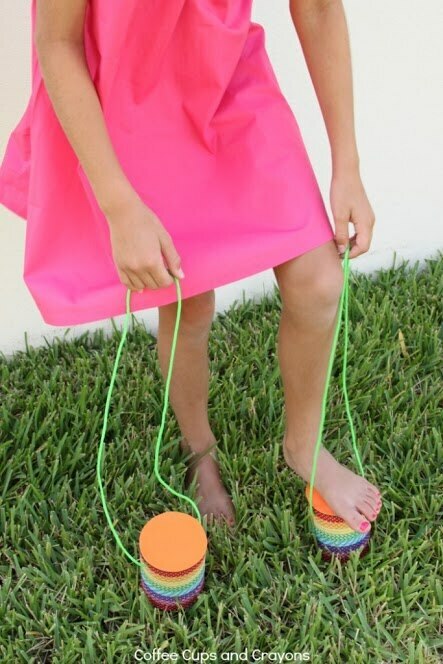 Decorate them with washi tape or other embellishments, and attach paracord to create these clever stepping aids. 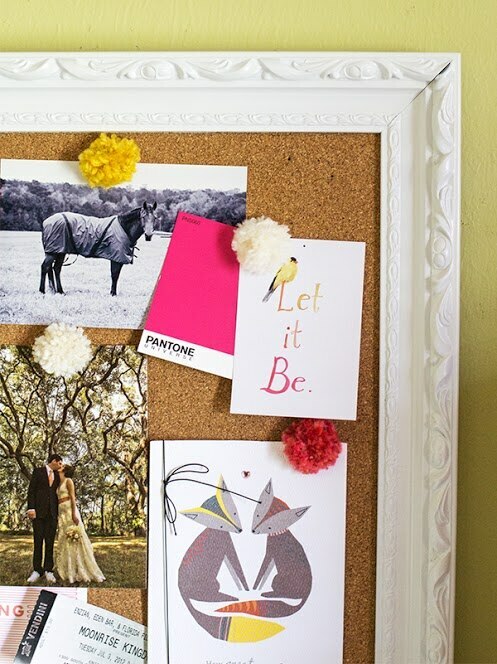 Want to prettify your bulletin board? 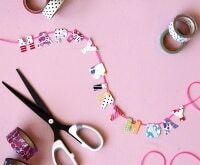 Make mini pom-poms and glue them to pushpins. 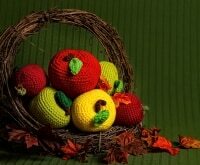 You could also buy pom-poms to make this project even easier. 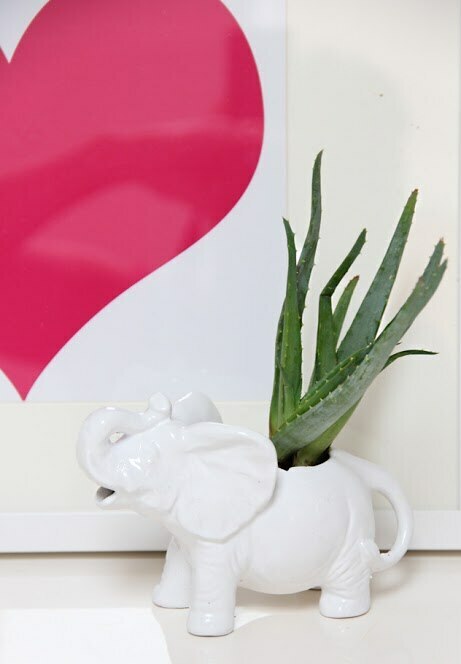 It takes no time at all to turn an elephant pitcher into a planter. Just spray paint it, add dirt and a succulent, and you’re done. Have everyone in the family make their own and fill it with plants of their choice. Capture the universe in a jar (or a few). 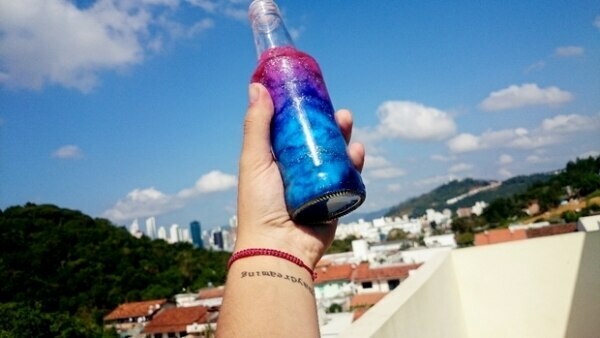 It’s easy to do using cotton balls, glitter, food coloring, and water. These bottles would look beautiful on a mantle, tabletop, or desk. 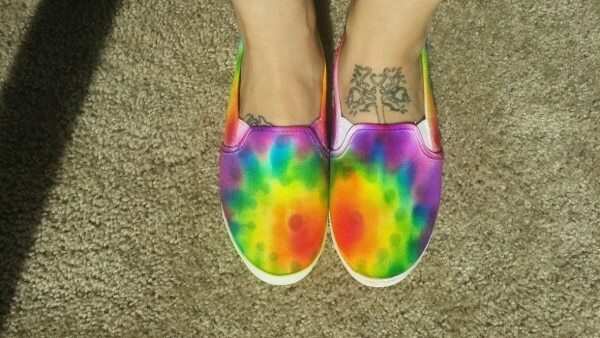 An even easier way to tie dye: use Sharpies and rubbing alcohol to create this colorful effect. This technique is perfect for sneakers, but can also be used on shirts. Everyone’s favorite cupcake topper also looks beautiful on the bottom of vases. 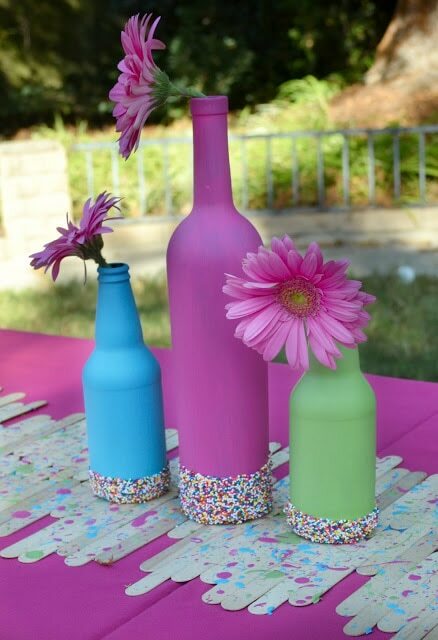 Start by spray painting bottles of various sizes, then have kids dip them in sprinkles. Make your writing utensils a bit more interesting. 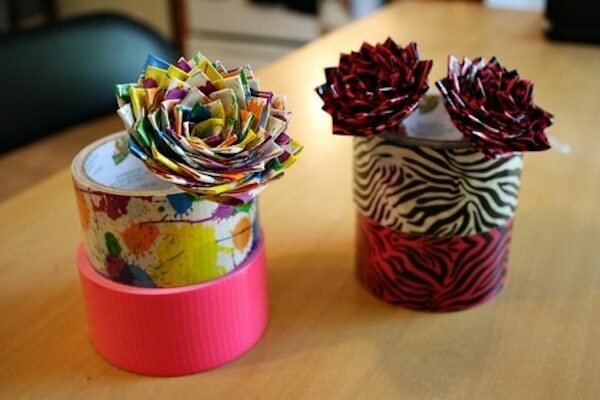 Duct tape comes in a variety of colors and patterns and can be used to wrap pens and adorn them with flowers. Need a new necklace? Raid your button stash and string together a selection of various sizes and colors. This little bit of effort will make a big fashion statement. 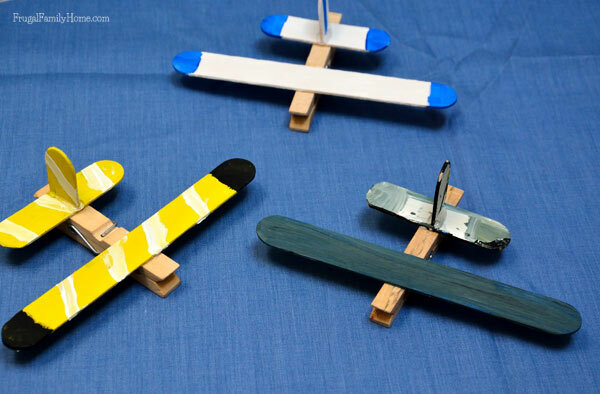 Turn clothespins and popsicle sticks into colorful little planes. Have kids paint the popsicle sticks, then glue them to the clothespin base — easy and adorable. 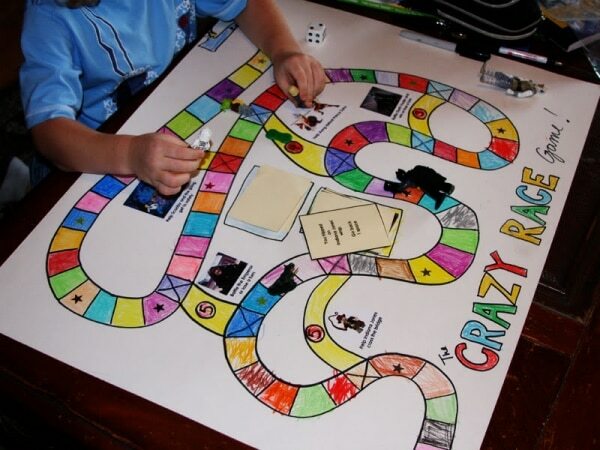 What better way to beat boredom than with a board game? Make your own using a poster board and colorful markers, picking whatever theme or story you like and decorating it accordingly. Toys don’t need to be fancy to be fun. 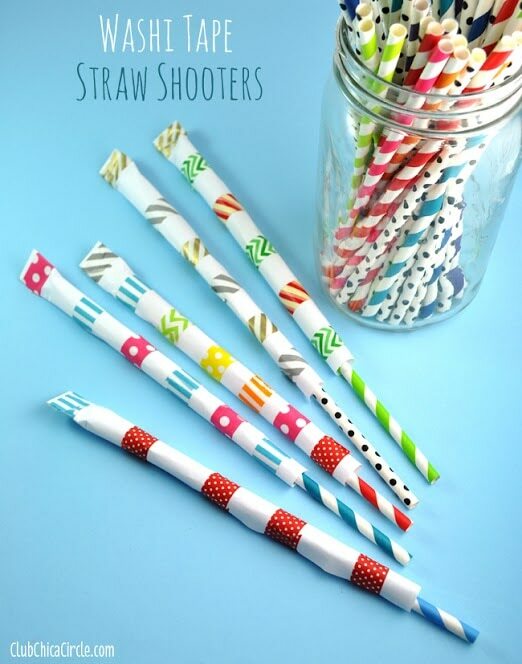 Kids will love shooting these little paper rolls, made out of washi tape, paper, and straws. This pretty folded accordion is made out of paper, glue, and some straightforward folding. 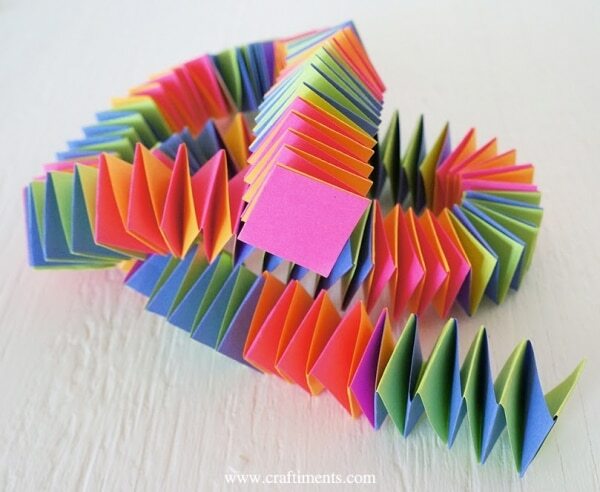 Make it just for fun, or use it as a garland. 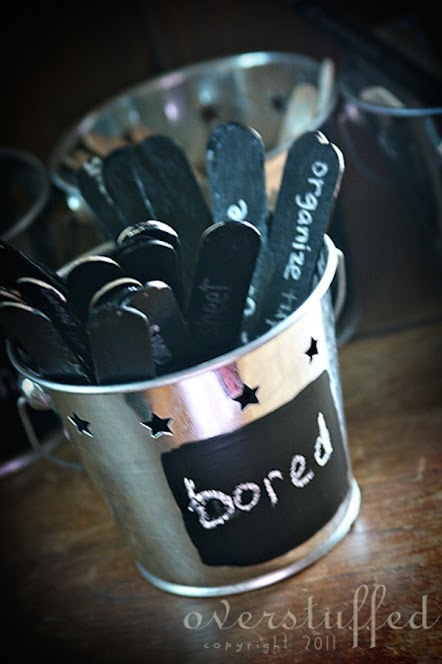 Use chalkboard paint to turn a tin pail and Popsicle sticks into a collection of boredom-busting activities. They can be a combination of fun and games (blow bubbles in the backyard) and chores (organize the kitchen spices). 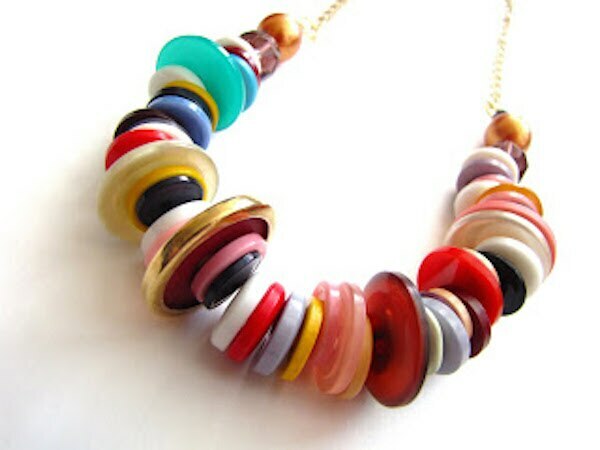 These colorful beauties are remarkably easy to make. 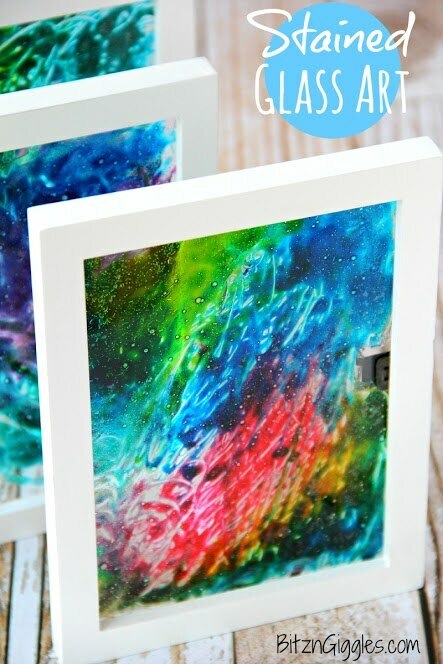 Simply mix glitter glue with food coloring and swirl it around on glass with a toothpick. 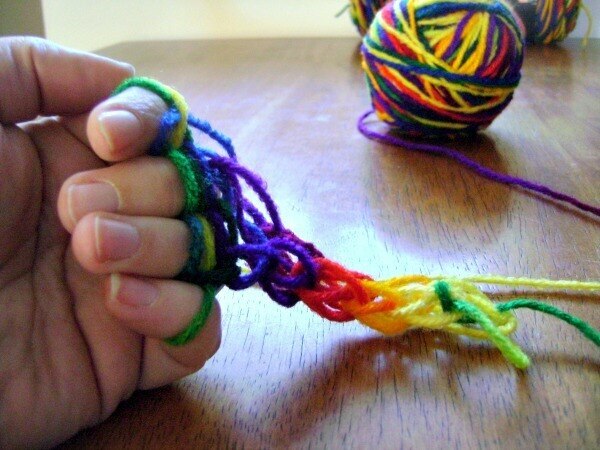 All you need is yarn and your fingers for this easy take on knitting. If you keep at it, you can make a scarf for the fall! Forget paintbrushes. Q-tips are the perfect tool for simple spotted paintings. Have kids fill in outlined drawings, or work from scratch on a black background so the colors really pop. 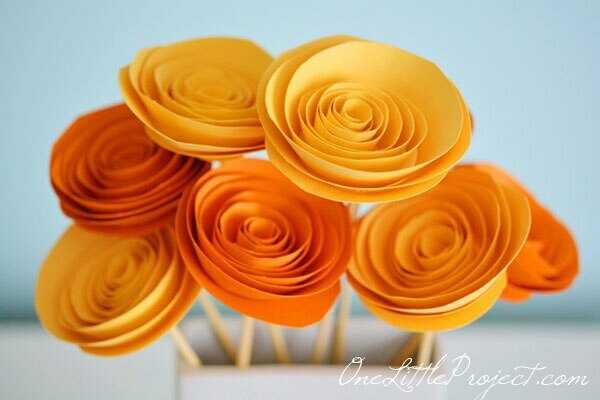 These lovely flowers, simply made out of rolled paper, are cheerful decor that’ll last longer than the real thing. Stick them onto skewers to create a bouquet. If your lips are taking a beating from sun exposure, try these colorful and tasty glosses. 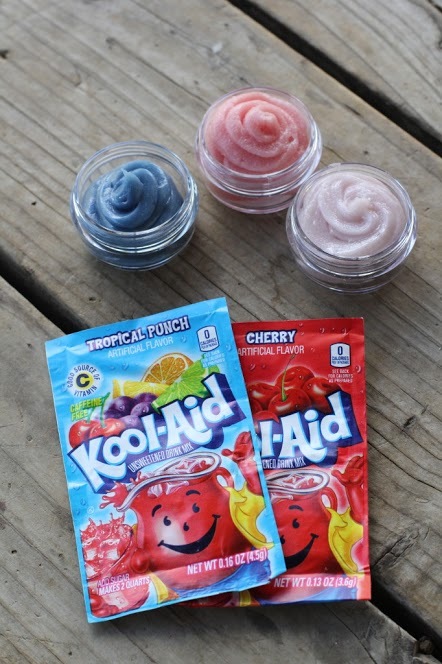 Simply microwave Vaseline, stir in Kool-Aid, and pucker up. Don’t let slow summer days get the better of you. 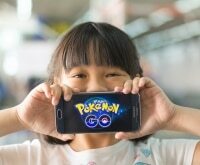 There’s a world of DIY possibilities at your fingertips that require minimal time and money for maximum fun. 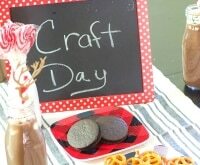 So take advantage of spare half hours, afternoons, and entire days with projects that the whole family can enjoy.